People: I’ve lived on the East Coast my whole life with a house in Short Hills, NJ and a shore house in Bay Head, NJ that I live in every summer. Growing up my family was centered around sports; whether it was playing lacrosse, field hockey, skiing, sailing, or just going for a family run, we were always moving. Now that I am older, I found my love for exercise as an escape. I try my best to stay active and healthy, which is what drew me to Fair Harbor. I am excited to be a part of a brand that encompasses a whole energetic, sustainable, and playful lifestyle. Plates: Honestly, my favorite food is anything with Frank’s Hot Sauce, but I guess that doesn’t really count, so I have to go with skizzles. Starting with a grain (quinoa, rice, farro) and then skizzling up (aka sauteeing) all of my favorite veggies and then adding a protein or meat to make the perfectly sized meal. My all-time favorite skizzle is quinoa with scrambled eggs, skizzled broccoli, tomatoes, red onion, and add avocado and hot sauce (duh) at the end for breakfast or lunch. Aaaaaand now I’m hungry.  Places: I have grown up going to a beach very similar to Fair Harbor and I understood how seeing trash on Jake and Caroline’s favorite beaches could inspire them to create an entire company devoted to helping. Bay Head, New Jersey is my Fair Harbor. Bay Head is my happy place that I have been going to since I was born. At the end of every school year I would pack up my summer clothes, move down to my shore house, and not come back until school started up again in the fall. I grew up sailing every day with my best friends, lounging on the beach with my siblings, and having big family cookouts with my cousins and our grandparents. It is a place where you just walk into your friend’s house unannounced and where the party is detected by the number of bikes on the lawn. Projects: Now that I am home from school, I can finally read for pleasure. I am scarily obsessed with psychological thriller books and it’s awesome that now I get to read them every day during my commute to work. My new project is getting HIIT certified so I can teach Interval Insanity at Colgate University next year. Plastics: My way of keeping it clean is by keeping it active. I love to run outside and end with a jump in the ocean, look up healthy recipes that I can (attempt to) cook, and make sure I spend as much time outside as possible.